Bull Rider Boy out today! 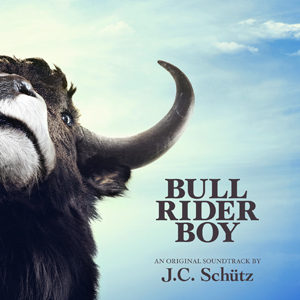 My 2015 film soundtrack Bull Rider Boy is finally released! It was written for the film Varför (Why?) by Marcus André and Jessica Svensson, which shows poverty in Europe in the 21st century seen through the eyes of a young Bulgarian man begging in the streets of Sweden. The music is instrumental and gypsy flavoured, featuring instruments like clarinet, violin, accordion, cimbalom and balalaika. 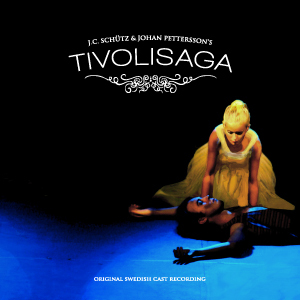 Tivolisaga - Original Swedish Cast Recording is finally released! Tivolisaga (Carnival Tale) is the musical I wrote together with Johan Pettersson and that we premiered in 2013 at Arbisteatern in Norrköping, Sweden, to a 10-minute standing ovation from the sold-out theatre. The recording features the original cast with some alterations. Featuring Linnéa Källström (Judy), Olle Petersson (Punch), Mathias Blad (Stormen/Tempest), Christian Zell (The Priest) and many more. 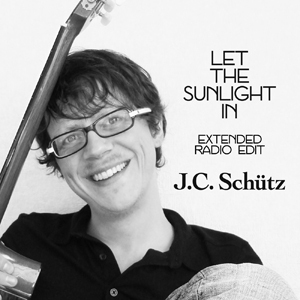 Let The Sunlight In (Extended Radio Edit) is released today! It's a totally new mix of the 2011 song with new drums. Hajimete no Kimochi (The First Feeling in My Life) has been selected as a Finalist for the Los Angeles CineFest! I can't contain my excitement over the positive feedback the film is getting all over the world. I'm really proud to have been part of its creation. Happy to announce that we won the Audience Award at Linkage Short Film Festival for Hajimete no Kimochi! Two weeks before it was also nominated for Best Short Film at Isesaki Short Film Festival. As I have mentioned on social media, today we are doing a 20-minute West End showcase of our new musical COLETTE, about the life of French writer Colette. The showcase will take place at the Crazy Coqs cabaret stage. 'Colette' has lyrics by Danusia Iwaszko and Rachel Dawick, and music by me. It's written as part of the BML workshop where we just finished our second year. BML is modeled after the Lehman Angel BMI Workshop in New York, and is the UK's only workshop for musical theatre writing. Hajimete no Kimochi is a Japanese short film I did the music for recently. It's based on a poem by Shuntaro Tanikawa, who has published over 60 books of poetry, and features narration by singer Aoi Teshima. Directed, filmed and edited by Kazuma Yano. The total playing time of my minimalist music is 7 minutes, using mainly piano and cello with a few other sounds added. The film will premiere on 23 December at the Ashiya Tearful Cinema Festival in Japan. I have just received the Löf Foundation Culture Award for my songwriting achievements for musical theatre. They were amazed at the scope and quality of my work (I now have over 500 songs registered with STIM, the Swedish performing rights society) and gave a special mention of my song lyrics. My 13th single Difficult (Impossible Remix) is released next week, but is already available from my bandcamp page, featuring Peter Asplund's classic jazz trumpet from the original 2007 album Blissa nova. My 12th single Love This World is released today! It's a totally new recording of the song from my 2013 album Beautiful Place, in a new slower tempo, new time-signature (4/4 instead of 6/8) and in 432hz instead of 440hz tuning. I posted some background story on my blog. 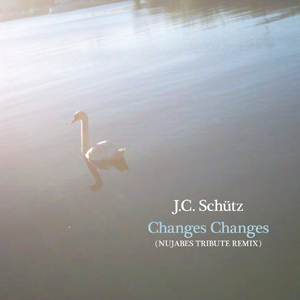 Changes Changes (Nujabes Tribute Remix) is released today! It's a remix of the 2013 acoustic 'haiku song' from Beautiful Place in a remix in memory of Japanese DJ and producer Nujabes (1974-2010). 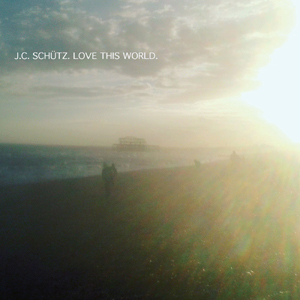 The compilation album where 11 female singers from around the world interpret my songs will probably be called Aurora - The Songs of J.C. Schütz. I have been admitted as a composer to the BML workshop in London, aimed at developing and nurturing new British musical theatre writing. The first session is today at RADA Studios, and the workshop will continue until December. BML stands for BOOK Music & Lyrics, and is sponsored by, among others, Arts Council England, Mercury Musical Developments and The Noel Coward Foundation. To celebrate the fact that I have now written 500 songs, I will post one unreleased song a day on my facebook page until New Year's Eve. The first song is The Best I Can Do from 1994, featuring me playing the harmonica as well as all the other instruments. Finally, all my 10 singles are available from iTunes, including the three ones in Swedish from 2009. Together with my 5 albums, that's totally 15 releases. I'm Here - New single! Today my new single I'm Here is released. Or, actually, pre-released. It will be on iTunes and other sites from next Monday. It's the favorite song of many of my fans, and so I give you a completely new, acoustic version! Two of my musicals have been selected for a pitching slot in November at Park Theatre, London, for next years BEAM:2016 showcase of new musical writing! One, still not made official, is being written together with Simon Stewart. The second is my Japan-themed musical Peach [working title] which I started writing in 2009. For Peach I am looking for a bookwriter to help reform and rewrite the libretto. The best pitches will then be offered to make a 30-minute showcase in front of producers, directors and venue representatives looking for new shows. Wish us luck!!! In a poetic moment I signed up for Instagram. I know I haven't posted any news for some time, but as they say: No news is good news! If you follow me on twitter and facebook, you already know that I am working on a couple of new albums and productions. Hope to be able to share more with you soon! I will perform three days at the Paris Book Fair (Salon du livre de Paris) together with Brazilian singer Eloisia. I'm currently composing and recording music for a documentary movie. It's directed and filmed by my friends Marcus André and Jessica Svensson, and will show the everyday life of a Bulgarian beggar-turned-friend of mine. In Bulgaria he can not get employment because of the discrimination of roma people, so he came here to beg in the streets. They will go with him to Bulgaria and try to understand what makes people travel thousands of miles to sit in the streets to beg. A trailer with my music will be posted soon. Finally! 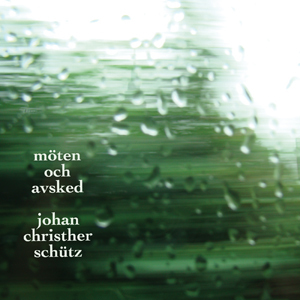 The Swedish version of my 2009 album C'est La Vie - 11 sånger på svenska is finally available online, with ALL songs in Swedish. Follow me on Facebook to get a X-mas discount! Today, September 5, I release a new single called Det kunde lika gärna varit vi (It could just as well have been us), a samba-reggae song in Swedish against racism, nationalism, hate and violence. Today, May 20, Brazilian singer Vanessa Pinheiro and I release a duet single of my song I Guess It's Ok performed in two languages, English and Portuguese. It's a new version of the song from my C'est La Vie album, but with jazz piano trio and strings, plus my regular acoustic guitar. RENT is a success, and all shows apart from one have been sold out. Therefore, we have added 6 new performances to the schedule between March 23-31. Don't miss this! RENT will open on March 2nd! RENT will open on March 2nd, 2014, at Skandiateatern in central Norrköping, and we will do performances until the end of March. We have just started rehearsing a new Swedish production of RENT at Skandiateatern in Norrköping. The premiere is planned to February 2014. Director is Johan Pettersson, with whom I wrote and co-produced Tivolisaga earlier this year. Producer is Robin Karlsson (for Arbis nytta och nöje), and choreographer is Elin Hultberg, who also worked with us for Tivolisaga. More information is coming soon. 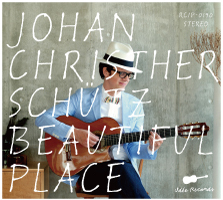 Beautiful Place - my 5th album, will finally be released on July 28, from IDEE Records (Japan). The 49-minute album (12 songs), even includes a cover version of Over the Rainbow, one of my favorite songs ever! I'll keep you posted on the news! Tivolisaga -- [Traveling] Carnival Tale -- is the title of a musical I have written in collaboration with Johan Pettersson. It will premiere at Arbisteatern, Norrköping, Sweden, on August 24! Just updated this website completely. As always, let me know what you think! Today, 32 years after the death of John Lennon, Christmas Time (We can change the world) is posted on youtube. It's based on a Nobel Peace Prize nominated cartoon called "Peace on Earth". Please share the link and spread the love! Today my new song is released worldwide on iTunes Store and several other sites. Spotify, Amazon mp3, and others will follow. Next week I will release a Christmas single! It features 12 of my friends from all over the world singing backing vocals! The theme is hopeful, in times of economic recession where people tend to blame the ethnically different for problems within the country. Sweden and several other countries have right-wing fascist parties in the parliaments, and this song is my reaction. Let's keep it together. Don't give in to fear. We all have the same wishes and dreams, no matter our ethnical and cultural background. Unfortunately my 5th album is postponed until early Spring 2013. Please enjoy the samples on my blog while you wait. Release date will be announced later. Now, preview ALL songs from the new album! Preview 2 songs from the new album! Go to my blog to hear 2 of the songs from Beautiful Place, my coming fifth album. And let me know what you think! Today I did a live performance in Tokyo FM's morning program Blue Ocean, previously announced on my blog, twitter and facebook. I was invited to talk about me and my life and music and to sing 2 songs live! Next Thursday, July 12, I will make my first appearance in Japanese TV! I think it's a kind of travel program (?) led by comedian Dancho Yasuda (from Yasuda Dai Circus), and we recorded the scene with my acoustic live performance last week at 8.Cafe in Fujisawa, southwest of Tokyo. Be sure you don't miss this! The new album, my fifth, will possibly be titled LOVE THIS WORLD, and has an earthy, organic sound. The 8 songs are my most philosophical so far. Songs included: A smile will take you far, Peace is the way, Changes changes, I learned to be me, Piece of myself, From here (my first time to perform a song with only voice and piano), Don't fight the flow (inspired by my favourite book, SIDDHARTHA by Hermann Hesse), and the title song Love This World. The release event for the compilation RENDEZ-VOUS VOYAGE will take place on Tuesday, March 20 at Aoyama Francfranc. I will play a few songs at 18:30, and have a little talk session with Rachel Chan. My song 'I Love You' is to be included on a Japanese compilation CD called RENDEZ-VOUS VOYAGE, with music played in J-Wave's weekday programme Rendez-Vous, hosted by Rachel Chan. Including songs from all over the world, the most famous artists included are Elza Soares and Cesar Camargo Mariano who are both featured on a song by Banda Black Rio. A second Peacebird album is scheduled for release in June 2012! It will be recorded in March in Tokyo, with Kazuya Saka (piano), Show Kudo (bass), Kaoru Suzuki	(drums) and me (vocals/guitar/cavaquinho). I'm speechless... No, 'Slow Down' wasn't the most played song in Japanese FM radio, and I wasn't the most played artist. But it was the most played foreign song during all October!!! 'Slow Down' has been among the most played songs all month in Japanese FM radio (Tokyo and Kansai), but Wednesday this week (26 October) I was also ranked the second most played artist, regardless of song! Only Hall & Oates had more plays. Interviewed by SVT - Swedish national TV! The news of the heavy airplay in Japan reached Sweden yesterday as I was called up and interviewed by Kulturnyheterna, the daily program for culture news in Swedish national TV (SVT). Among the 3 most played songs all week! 'Slow Down' was among the 3 most played songs all week from Monday on Tokyo and Kansai FM radio, including FM802 in Osaka. Tuesday and Friday it was number one! 'Slow Down' most played song! 'Slow Down' most played song yesterday on Tokyo and Osaka FM radio, which means two of the biggest metropolitan areas in the world! FM Gunma and FM802 in Osaka first stations to put my song 'Slow Down' on Heavy Rotation during all October! The morning program Oh!Happy Morning at Japan FM Network will play 'Slow Down' every morning this week, and is broadcast all over Japan (except Tokyo)! Today is United Nation's International Day Of Peace. A perfect day for Pre-release of the album on iTunes Japan. Release worldwide and in CD/record stores is October 5. Download single released today. All revenues are donated to Red Cross Japan after the 3/11 earthquake and tsunami. I've been blogging since 2007, so you may find some stuff over there.